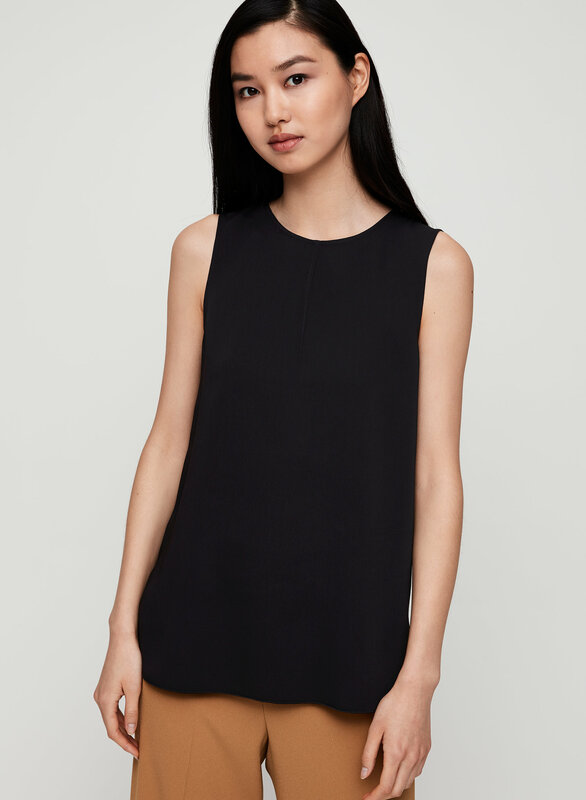 This is a classic, versatile crew-neck blouse. The matte satin fabric has a substantial, luxurious feel. I love how this fit ..not tight but still room to feel comfortable and look stylish. It packs well..can be worn dressed up or down which is great for a long trip. Washed well and just hung to dry..kept its shape! Have this blouse in 3 different colours. Love it! Very happy with this beautiful blouse and the material doesn’t feel cheap. I love the fit of this tank. The arm holes fit well so that your bra wont show, the fabric lays beautifully and is very comfortable. I'll buy it again! 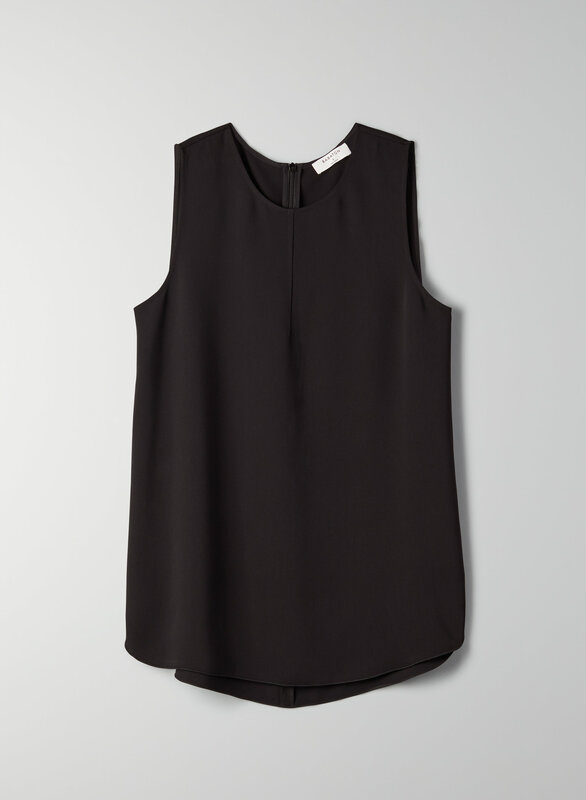 Love the soft flow to this sleeveless top. The length makes it functional to wear with leggings but it looks really sharp with jeans as well. I bought a size medium in black and the fit is true to size. I love that the blouse is tulip cut and longer than typical blouses. I absolutely love the fit of this blouse. It’s like a really nice muscle tank. It’s also quite long and looks GREAT with leggings but I also wear it tucked in to high waisted jeans. Beautiful dark emerald green colour. Likely going to buy another in a different colour b/c I wear it all the time. I am 5’6” usually wear size 6 or 8 (med) but I got it in a large and love it. Depends how you want it to fit.